McNary girls soccer coach A.J. Nash knows exactly what he’s getting when Katy Wyatt is on the field. Wyatt scored the Lady Celts only goal in a 1-0 win over Woodburn to begin the season. In the first half of an 8-0 victory against South Albany on Thursday, Aug. 31, Wyatt then netted a header on a cross from Abigail Hawley. “Ever since I was a kid, I wasn’t very good with my feet but my head was pretty good,” Wyatt said after the game. The McNary junior is just thrilled to be back on the field after tearing her ACL in a playoff game at Sherwood last season. Wyatt was unable to play all summer. Her first time on the field was at tryouts and even then she wasn’t cleared to touch a ball. Wyatt was one of seven girls to score a goal against South Albany. Half of the goals came from the starters while the other half came from the second team. Sophomore Julie Dieker was the only Lady Celt to net two goals. The first came in the 22nd minute when Ariana Santana beat her defender on the outside and put a cross through the box that Dieker was able to finish. In the 69th minute, Gina Munguia then hit the left post on a shot from the outside that was run down by Wyatt who served a one-time cross for Dieker to head into the back of the net. Hawley scored McNary’s first goal on a through ball from Izzy Haselip in the sixth minute. Pushing forward from her stopper position, freshman Audrey Williams then scored her first high school goal to give the Lady Celts a 2-0 lead in the 13th minute. 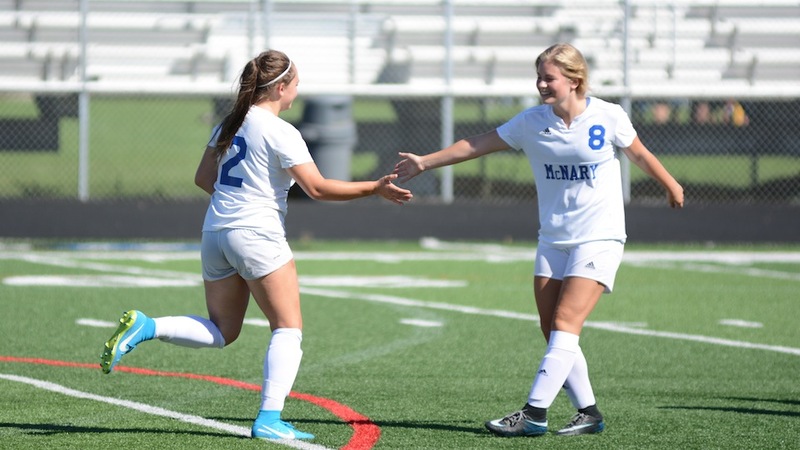 The goal was the first of two scored from the stopper, something McNary had worked on in practice, as Sam Alfano made a run through the midfield to a hit a shot from 25 yards in the upper left corner of the goal late in the second half. Haselip, a junior transfer from Silverton, scored her first goal as a Lady Celt in the 32nd minute, finding the end of a long punt from goalkeeper Sydney Snapp for a breakaway finish. Haselip then served a diagonal pass across the field to Santana, who put the ball in the net to give McNary a 6-0 lead at halftime. Glenn A. Meneice, 63, of Kelso, Wash., passed away on Aug. 3, 2017, due to complications from cancer surgery. He was born July 20, 1954, in Portland to William and Dora Meneice. He grew up in Salem and later lived in Keizer, Carson, Wash., and Long Beach, Wash.
Glenn’s kind and compassionate nature suited him well in his work as a caregiver. His gentle soul made it easy for people to love him. He enjoyed taking care of family, friends and anyone who needed care. Glenn enjoyed life’s simple pleasures and he found great joy in nature, animals and organic cooking. 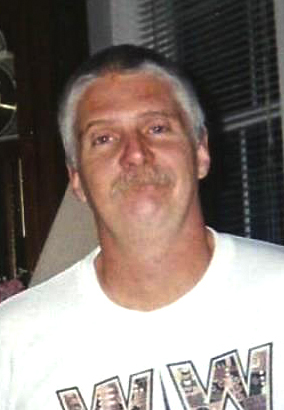 He is survived by his daughter Krisna Meneice of Bellingham, Wash. Glenn was preceded in death by his mother and father. A Celebration of Life Potluck will be held at 2 p.m. on Sept. 16, at Tam O’ Shanter Park on Tam O’ Shanter Way in Kelso, Wash. The Keizer Parks and Recreation Advisory Board is asking supporters and skeptics to help shape the future of Keizer’s parks at its meeting Tuesday, Sept. 12. 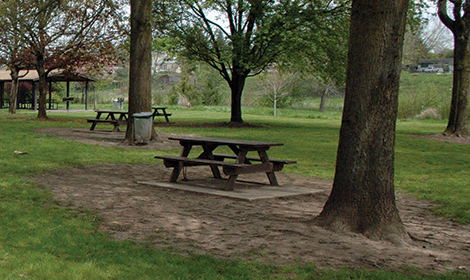 During the meeting, the board will discuss the way forward now that the city will begin collecting a $4-per-month fee to create a dedicated parks fund. “We’re looking for those individuals intimately familiar with their own park who can come in and bring up issues we haven’t noticed. I’m also hoping for some naysayers because I think that will help make the process as transparent as possible,” said Matt Lawyer, a member of the parks board, in a presentation to the Keizer City Council Monday, Aug. 21. At the last meeting of the parks board, whether to have the meeting became a point of contention, but there is pressure to come up with a list of projects the city can announce and deliver on in the coming months and years. Lawyer didn’t lay out specifics of the parks board agenda, but every meeting includes the opportunity for public testimony. Lawyer also said there might be a second meeting for public input later in September. When the parks board surveyed residents about their priorities for the parks, numerous maintenance projects took priority over the most-wished-for new amenity. “Safety is the No. 1 concern and it’s important to be good stewards of the taxpayer dollars, but I think that there is a good expectation that new projects might be possible in the first 12 to 24 months,” Lawyer said. Lawyer also hoped to reignite a matching grant program that has attracted improvements to Keizer parks with residents putting up money and donations of time that are matched by city funds. There are two other issues the board will have to wrestle with in coming up with a plan for using fee funds. The existing Parks Master Plan was crafted in 2008, but times and priorities have changed in the interim. Board members will also have to figure out how system development charges (SDCs) factor into the money it can spend. The city collects SDCs on new developments to offset impacts to infrastructure and pay for improvements. The catch is that the majority of the money the city has collected in SDCs, approximately $800,000, can only be used to fund 13.6 percent of any new project. That means on a $100,000 park amenity, the city has to pay for $86,400 of the cost from other sources. The Sept. 12 meeting of the parks board begins at 6 p.m. at the Keizer Civic Center. North Salem, a 2-7 football team a year ago, scheduled to move down a classification next season, is likely to be overlooked by many teams this fall. The Celtics, who open the 2017 campaign at home against North Salem on Friday, Sept. 1, had to overcome an 11-point fourth quarter deficit to defeat the Vikings last season, scoring the winning touchdown with just 1:23 remaining in the game. Garvey did his part a year ago, rushing for 131 yards and a touchdown on 28 carries. At cornerback, he also had an interception. McNary has won its last three season openers against North Salem but the victories haven’t come easy. The Celtics trailed 14-8 at halftime of the 2015 game before winning 34-21. What makes the Vikings difficult to defend is their Wing-T offense. McNary’s defense struggled to contain North Salem’s running game last season, especially in the first three quarters. While North Salem graduated its quarterback and many skill players, the Vikings are experienced on the offensive line. To prepare for the season opener, the Celtics participated in a jamboree at Marist on Friday, Aug. 25. McNary ran 12 plays on offense and defense against Canby, the host Spartans and then Corvallis. 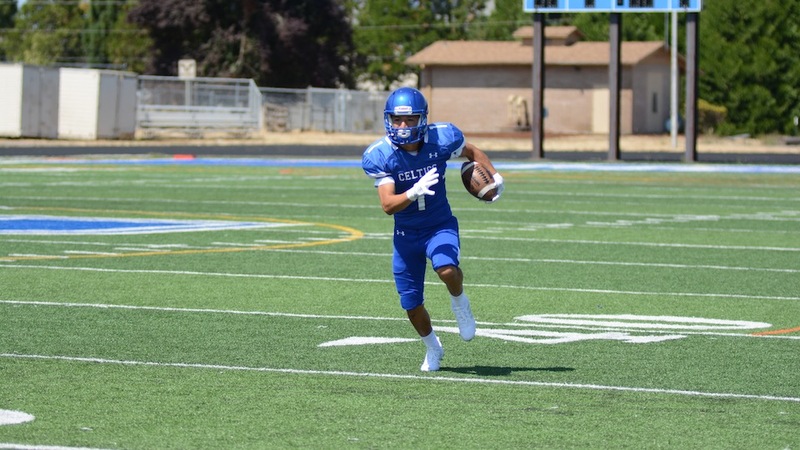 After a slow start, Auvinen thought McNary improved with each scrimmage. This Friday’s home game against North Salem kicks off at 7 p.m.
McNary senior Jakoby Doke guaranteed the Celtics will be ready.